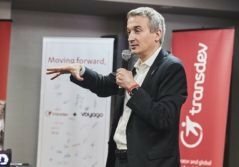 Transdev Group's "Communication on Progress 2017-2018"
impact. As a Partner of the Global Compact since 2003, Transdev continues to fully commit itself to the Global Compact principles and integrate them into its daily practices. 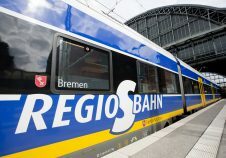 We keep a simple goal in mind: to create the best mobility solutions for our clients and our passengers, which necessarily means that mobility must be the key lever for quality of life and sustainable development. 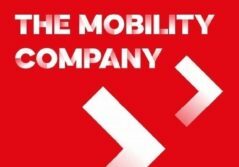 As “The Mobility Company”, we believe that People, Planet and Performance must naturally be aligned. At Transdev, our commitment to designing the future of mobility defines our core identity. Each innovation, idea, project, discussion, doubt, success or strategy fosters one single purpose: translating people’s expectations. For this, we engage all of our stakeholders and value their insight. Corporate Social Responsibility is the ideal platform on which to shape the future of our organisation. It is a bridge between us, our strategy and know-how, and society as a whole. It connects our ambition to reality. More than ever, we feel the urgency to succeed, to act, to transform. Public expectations have never been so high, so pressing. And it is with great confidence that we strive to address in-depth issues by combining two major levers of success: unconditional quality and true responsibility. EMPOWERING YOUR FREEDOM TO MOVE, EVERY DAY. Our WHY, which motivates us deeply, is both very simple and very engaging: because moving is essential to meet each other, to work, to study, to see friends… in other words to just live, we empower your freedom to move, every day. Because our duty is above all about people serving people, the mobility we offer is first and foremost human. This human dimension is absolutely essential; it is the pride of our 82,000 employees around the world. Our credo is for seamless and easy-to-access mobility. Beyond our role as a transport operator, we become an integrator of daily mobility solutions addressing the needs of today and tomorrow. Finally, we develop mobility that is resolutely innovative, focused on solutions that are more efficient, easy to access, more economical and – of course – more sustainable. Transport is one of the main sectors that, by its action, can positively affect the daily lives of citizens, the smooth running of the economy and combat climate change. Therefore, our approach to CSR is in line with our vision of mobility and our strategy: CSR is at the core of everything we do. Transdev is advancing with the communities it serves, ensuring that we provide a positive effect for these territories.